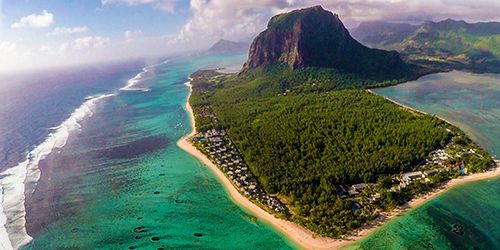 Experience an aerial adrenaline rush through a thrilling zipline adventure at the Vallée des Couleurs reserve situated in the beautiful Southern region of Mauritius! Children and adults are surprisingly taken by the excitement and adrenaline that comes naturally when you start zip lining for the first time. 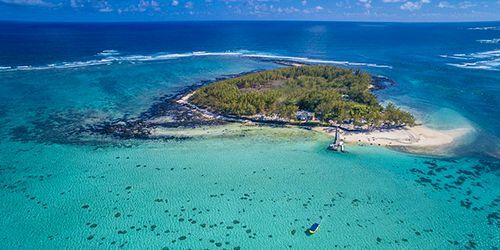 You will get to discover the beautiful scenery of the South Coast of Mauritius, including the entire nature park, its waterfalls and canyons from high above. We offer you a selection of amazing Zip line Excursions – 1 Line (500m) and Super Longest line (1.5km), all accompanied by professional guides. 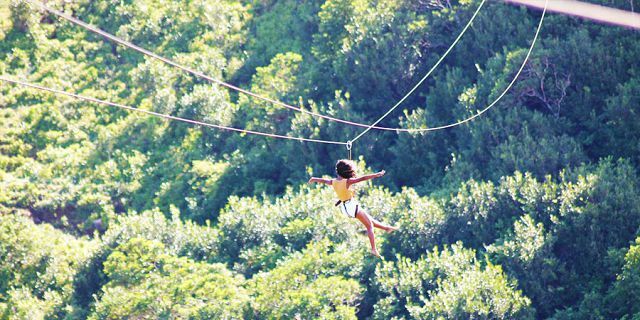 Each zip line, varying in length, height and speed offers you to explore a unique and different landscapes. As part of this adventure at Vallée des Couleurs, you would be sure to have remarkable views of the canyon, the stunning landscapes and forest from high above! Following the zip line adventure you can spend some more time in the nature park strolling along the many beautiful trails. This is a good opportunity to have a closer look at the unique 23 Coloured Earths and the animals in the park. Reach the viewpoint at the mountain top where you will enjoy a breathtaking panoramic view of almost the entire South Coast. Note: Each of these zip line activities is offered separately, accompanied by the guides. 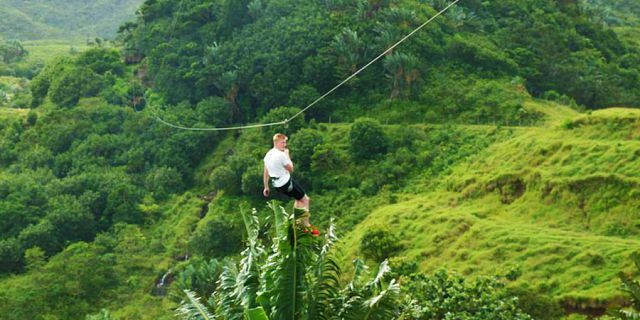 As such, you have maximum flexibility to take part in one or more zip lines. 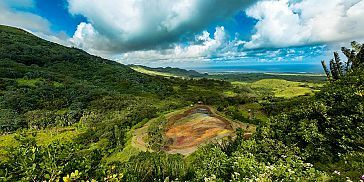 As part of these thrilling zip line excursions, you will discover one the most stunning nature reserves – La Vallée des Couleurs and all its stunning attractions. Your amazing journey starts with meeting your guide who will take you to the launching spot of your preferred zip lines package riding on the park’s 4x4 vehicle. Enjoy the view of the beautiful surroundings, spotting some animals as you pass through the forest. 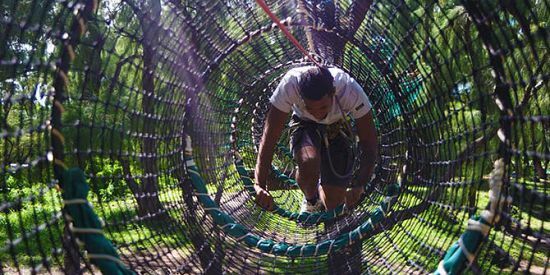 As you arrive at the spot, you will be provided with all the necessary zip line equipment as well as have a safety briefing on the zip line activity. The topmost priority is your safety and as such, all the equipment used for the zip-line activities adhere to the highest safety standards and are regularly checked, then double-checked. 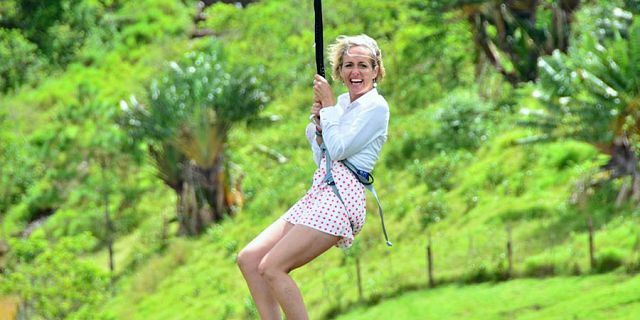 Enjoy an unforgettable adventure as you slide from one platform to the other along a steel cable, set among the stunning natural surroundings of Vallée des Couleurs. 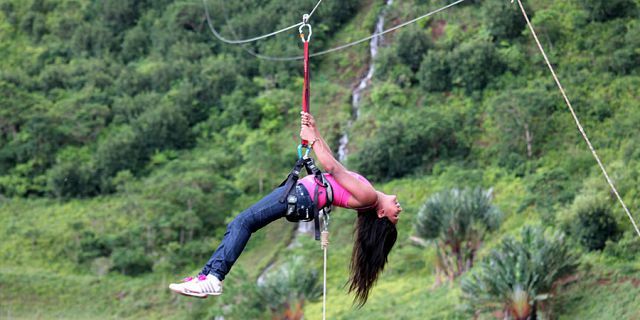 We offer an amazing guided zip-lining activity of 500m long for nature enthusiasts and adventure lovers. 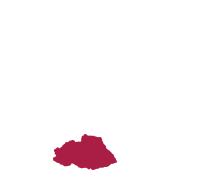 This activity can be enjoyed as from 6 years old with no previous experience required. Enjoy a day full of fun and adventures in nature with the Super Longest 1.5 km Zip line at Vallée des Couleurs, the 3rd longest in the world. 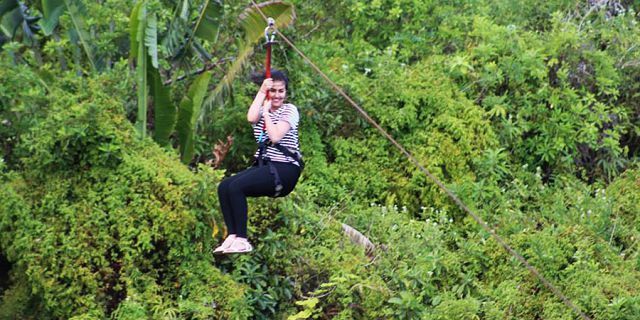 The 1.5 km zip line is recommended as from 12 years old and is ideal for families which offers a great time together. Come enjoy the thrills of the 1.6 km zipline at Vallée des Couleurs including the new extreme waterfall zipline in a magnificent landscape. 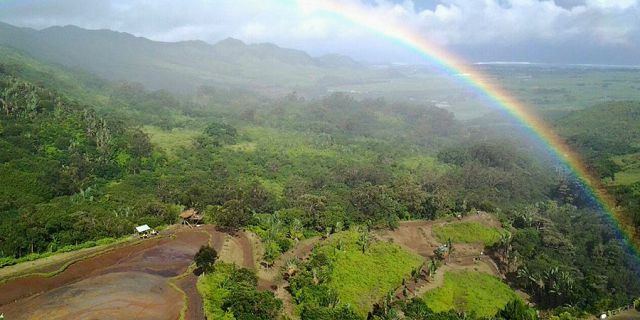 This is an incredible opportunity for you to admire the park’s beauty from an incredible height and through a truly unique perspective. If the idea of zipping through the air gives you a buzz, then this Super Zipline Full Set is for you. It’s packed with the best ziplines at Vallée des Couleurs, including the longest zip line of 1.5 Km and the new extreme waterfall zip line. 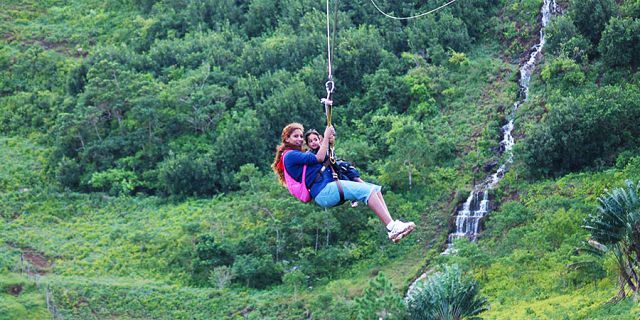 In all, a thrilling zipline package that is an absolute treat for adrenaline junkies. This zip line activity is offered anytime between 09:00 and 17:00. The nature park is open every day, including 25th December and 1st January. 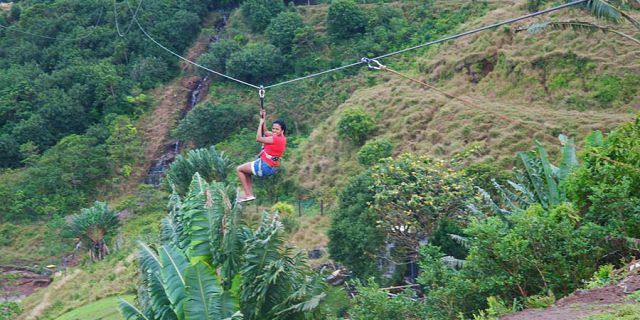 The 500m Zip line package is suitable from the age of 6 years old, accompanied by an adult. 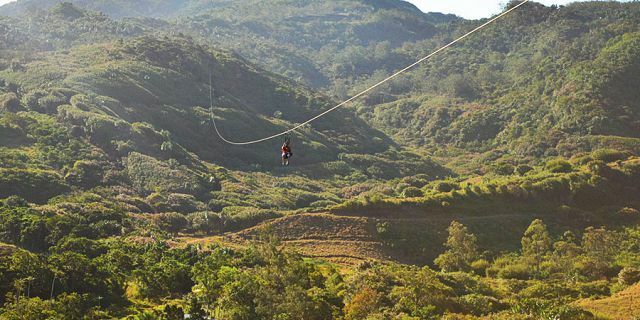 This Super Longest Zip line (1.5km) is suitable as from the age of 12 years old. No previous experience in zip lining is required. At La Citronnelle, you have a choice between two menus for lunch– a traditional Mauritian set menu (Menu B) or an International BBQ grilled menu (Menu A). The restaurant also offers a special child-friendly menu and dishes, directly available on the spot. 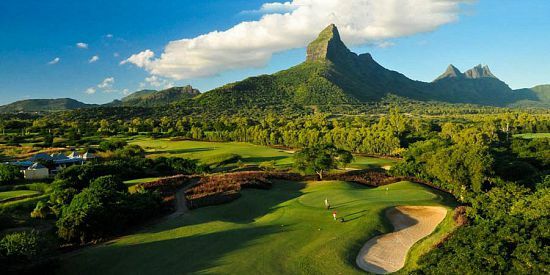 Located in the South of Mauritius, La Vallée des Couleurs Nature Park is one of the most famous and unique attractions of the island which fascinates Mauritians as well as foreigners. Nature lovers are bound to love Vallée des Couleurs; it offers a unique experience with the indigenous fauna and flora alongside various fun activities and excursions, suitable for all ages. 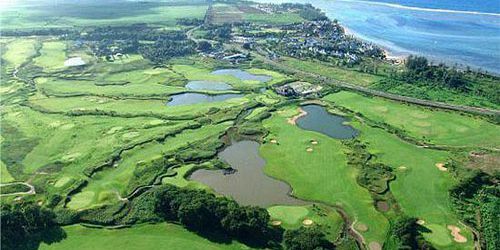 Visitors are treated with a range of natural landscapes, including plateaus, mountains, valleys, craters and crater-lakes. The visit of Vallée des Couleurs begins with access to the park’s exhibition room. 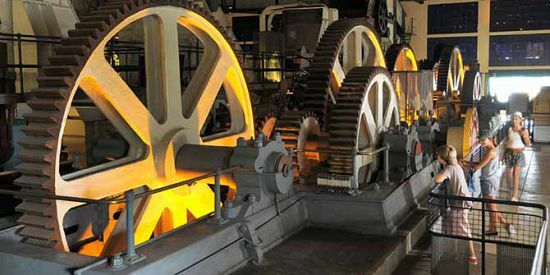 This is provides an outline of the different places of interest which you will discover through your visit to this domain-park. I will be good if you in the booking fase, you got information if the activities was full before you payed.